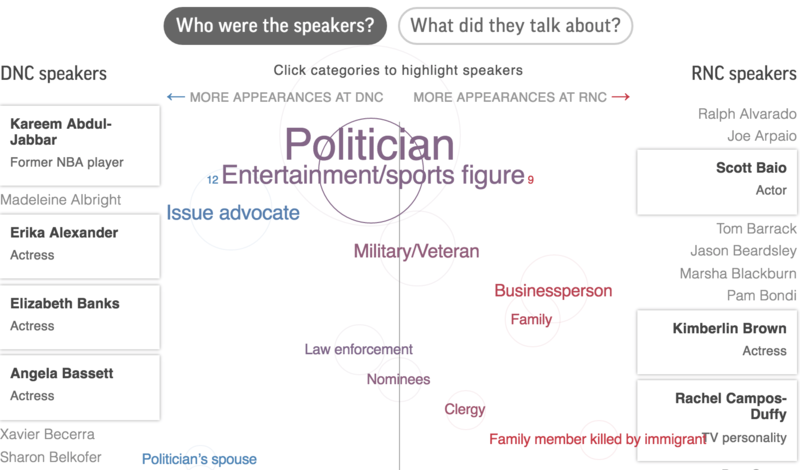 The conventions in July were great 4-day PR shows for the Republican and the Democratic parties. Who were the spokespersons on stage? What were they talking about? 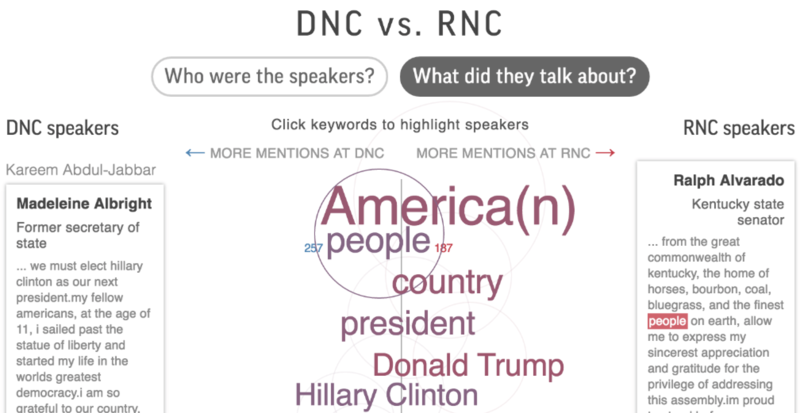 The interactive is an analysis and visualization of the words and phrases used by all the prime time speakers at both conventions.